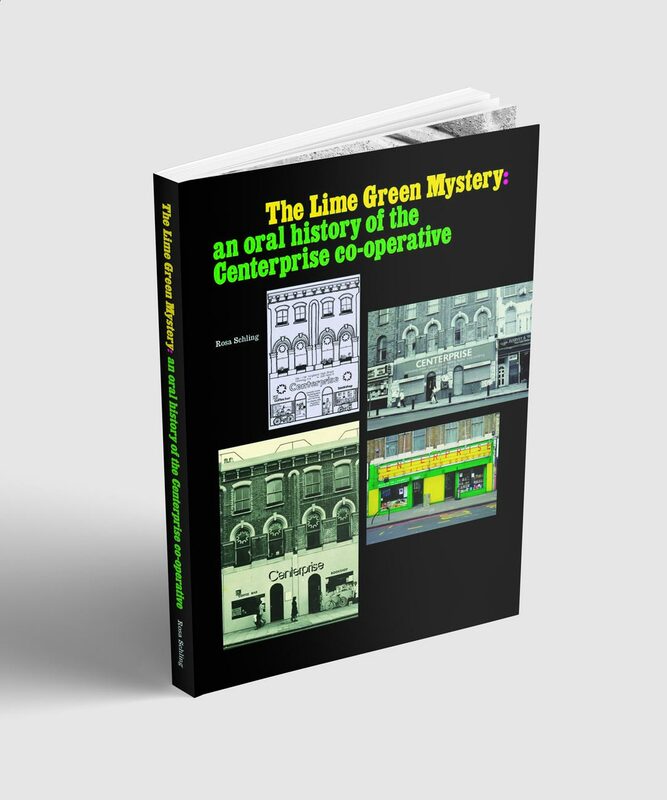 The Lime Green Mystery: An oral history of the Centerprise co-operative was published by On the Record in 2017, in a limited run. It was stocked by Pages of Hackney, Broadway Bookshop, Burley Fisher, Stoke Newington Bookshop, Newham Bookshop, Brick Lane Bookshop, Housmans, Five Leaves (Nottingham) and Word Power (Edinburgh). We are hoping to print more copies, to pre-order please contact us. Download a pdf version of the book. Although it was the only bookshop in Hackney, east London, when it opened in 1971, Centerprise offered more than the chance to buy books. Inside, local people could join a writers’ workshop, mount a campaign, learn to read and write, get welfare advice, record local history, publish their poetry, or simply nurse a cup of tea all day in the café that doubled as a community space. Through the memories and reflections of many of the people involved, The Lime Green Mystery charts how the Centerprise co-operative (1971 – 1993) attempted to put radical ideas about education, culture and community work into practice. It explores issues of representation, power and collective management and will appeal to those interested in radical community organisations, grassroots bookselling and publishing, the adult literacy movement, London’s social history, and to people involved in community-based cultural and co-operative initiatives today.